B2 Productions & Multimedia, Inc. | 4K Video Production – San Diego – Carlsbad – B2 Productions: Boo! Production Value with No Crew. Halloween, what a great time to revisit all those scary movies stuck in my Netflix library. I watched Carrie the other night and by the end of the movie a giant hammer hit me over the head. Brian DePalma and his crew burned down a gym (some miniature, some not? 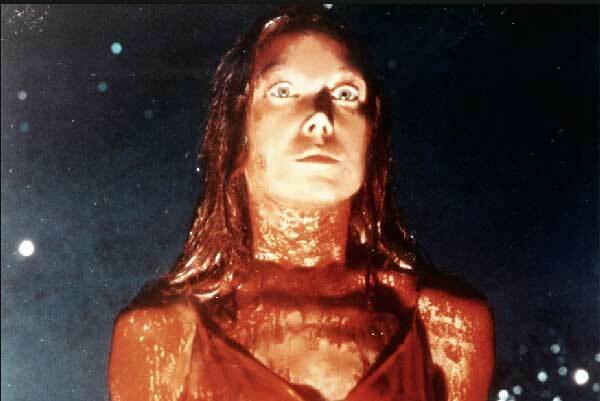 ), rolled a car; had one of the most memorable scenes when Carrie gets pig’s blood poured over her head. And let’s not forget the hand that comes up and grabs Amy Irving’s arm in the final scene. The credits, roughly 8 minutes after the cast. Wait, what? What’s my take away? I’d pit Carrie against anything Hollywood puts out today. Scare factor. Story telling. Done with a skeletal crew. Check out the scene when Carrie and her man are dancing in the gym. There is a tracking shot that goes in front of the stage (we see John Travolta with his lady holding the string to the bucket of pig’s blood). The camera continues to move around the back of the wall where we pick up Amy Irving walking towards camera (while the cameraman shifts the camera to a crane or just stands on a lift). Up the camera goes across the top of the pale of blood to tilt down on Carrie and her date dancing. Bravo! Those were not light rigs back then and I can guess that took a few takes. But in the end, what a great scene to accentuate a great movie. A nod and thanks to Stephen King and Brian DePalma. Happy Halloween.